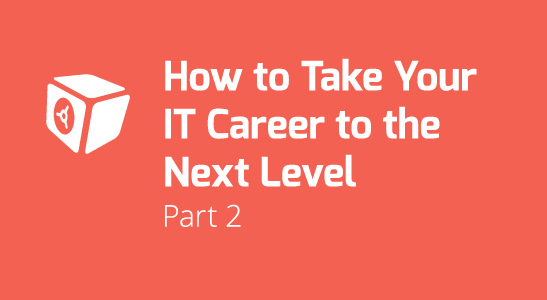 In Part I, we discussed on how to improve one’s IT career by getting certified and creating something new and practical project, which can help you take your career to the next level. Continuing in Part II, we will further consider other career advancing points. Seminars and conferences can help you keep up with technology. Search for local and national seminars and conferences and try your best to attend them on a regular basis. You can also sign up for free online webinars to learn more about new technologies. Remember that seminars, conferences and webinars can be educational. Research about the kind of conferences you plan to attend ahead of time. For example, the Intel Developer Forum might be more useful for a developer than CES. Look for conferences that provide breakout sessions and / or hands-on training. In addition to learning and sharpening your IT skills, conferences are a great place to network that might lead into new professional opportunities. Some of the most widely attended conferences include: Cisco Live, Interop, Microsoft Cloud Roadshow, Spiceworld, and CES. Sharing is caring. The best way to fully learn a subject is by volunteering to become an in-house trainer for your team. This way, you will be killing two birds with one stone. You will need to study the subject in order to teach. You will basically go through the subject matter at least twice. The first, when you prepare your material and the second time when you teach and train. Your team members and manager will also appreciate your efforts in sharing and training. In the process, this will make you more valuable to your company, as you are willing to share your knowledge with your colleagues. Remember that most valued employees are not always those who held the most impressive titles or had amassed the greatest number of skills. Rather, the most valuable employees are those who could train and mentor newer employees. In most organizations, IT people’s customers are believed to be company employees only. 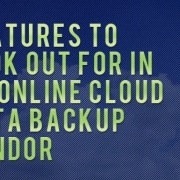 This might be partially true if your organization is not in the IT business. 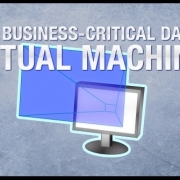 If you work for an IT organization like Data Deposit Box, however, it is the customers who use the products, your company makes, that keep the lights on. So, you don’t have to be in sales to visit a customer. It might be difficult for an IT professional to justify a visit to the customers’ site. As an IT professional, you might think that customer visit is the job of the sales person or an account manager. However, you might want to accompany the account manager and/or the sales person who has a good relationship with customers, on one of their visits to the customer’s site. While visiting the customer as an IT professional, you might want to start out by explaining that you’d like to learn a little more about how they use your products. Yes, you’re not there to sell or provide technical assistance. You’re only there to listen patiently and learn how they use your products. Customers might be willing to give you useful feedback during your visit. They might be using the solution in way you never thought. Thinking the real person, who owns the technology is in front of them, customers may share frustrations about your product that you can share with your team. Visiting customers can not only be educational, but also help build relationships. Whether the feedback is negative or positive, visiting customers is a really a good way to improve on your IT skills. Customer site visit is exciting and that you never know what you’re going to hear back. If all you gain from the visit is a little bit of empathy, then it was well worth your while. IT is also about learning and growing. New technologies are always round the corner, which is why you will need to avoid to become content with your existing skillset. Stay current with technologies. If you want to reach new heights and advance your career faster, then make sure you learn new technologies. You can also take courses in sales, marketing, communications, business development, accounting, economics and more to widen your reach and knowledge. Take on projects that no one wants. Try your best to bond with skilled IT professional, who is always willing to share their knowledge and embrace them as mentors. Network with IT professionals whether in conferences or after hours evening meetup events. Don't Use Facebook as Your Online Photo Album! 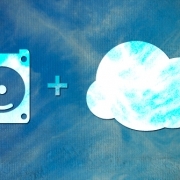 Why Your Company Should Store Data in the Cloud? How to Take Your IT Career to the Next Level — Part I What is Ransomware and How Does it Work?